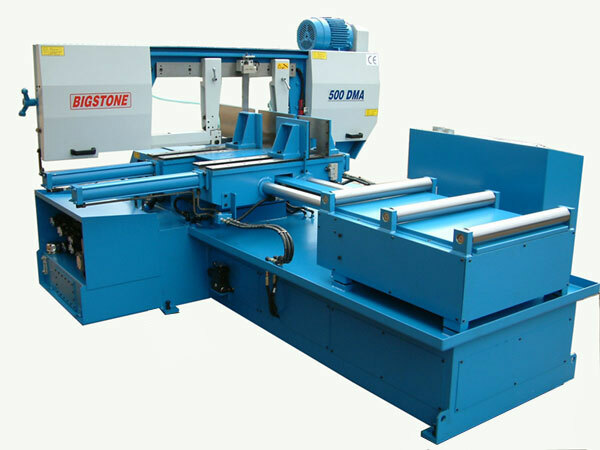 NC Double Miter Cutting Band Saw (500DMA) - Big Stone Machinery Co., Ltd.
(1) NC with Touch screen control system. (2) Variable blade speed device. (3) Saw blade 1 pc. (4) Tools with tool box. 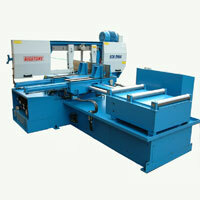 For Frequent Change of Straight and Miter cuts Stepless. From 90° to 45° on both directions. Programming of Length, Angles and Number of Pieces. Automatic Movement of Vises in Conjunction With Automatic Miter Positioning Accuracy of 0.1°. The Accuracy of Hydraulic Length Feed of Material to ±0.15mm.